Louise Bernice Halfe was born in Two Hills, Alberta, and was raised on the Saddle Lake Reserve. Her Cree name is Sky Dancer. Her most recent work, Burning in this Midnight Dream (2016), won three Saskatchewan Book Awards, as well as the Raymond Souster Award for Poetry. Her three previous collections of poetry include Bear Bones & Feathers, Blue Marrow and The Crooked Good. Halfe served as Saskatchewan’s Poet Laureate from 2005 to 2006. 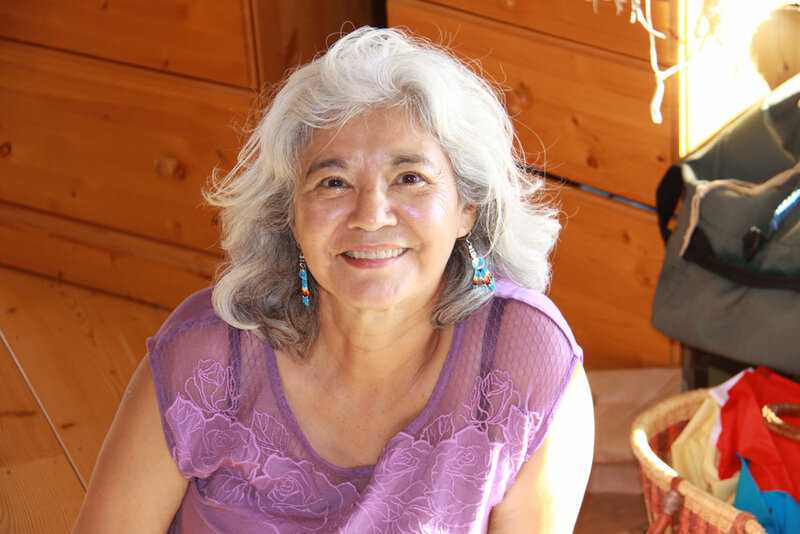 Her poems have won National Magazine Awards and her work on the article and visual essay “In Attawapiskat: Real life on the Rez” received an honorary mention for The Walrus Magazine. Louise has a Bachelor of Social Work from the University of Regina and received an Honorary Degree of Letters (Ph. D) from Wilfred Laurier University in 2012. She currently works with Elders in an organization called Opikinawasowin (“raising our children”). She lives outside of Saskatoon with her husband.